State of the art animation clips demonstrate in short the amazing capabilities of the different REA VERIFIER Code Verification Systems and REA JET Coding and Marking technologies. 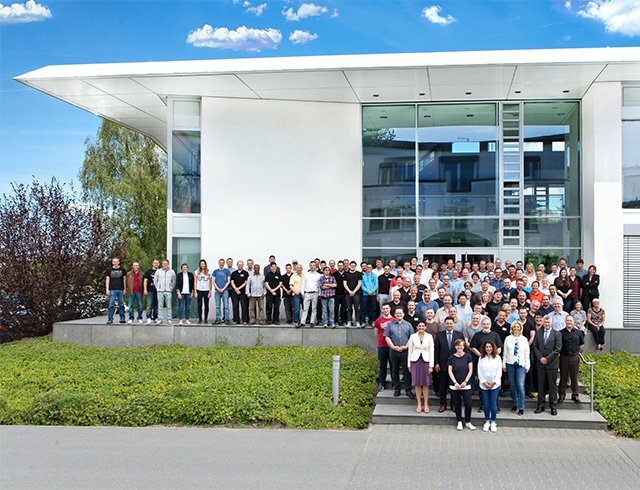 More than 400 employees are developing and manufacturing code verification systems for quality control of barcodes and data matrix codes at the headquaters in Muehltal. REA VERIFIER is represented in over 30 countries. 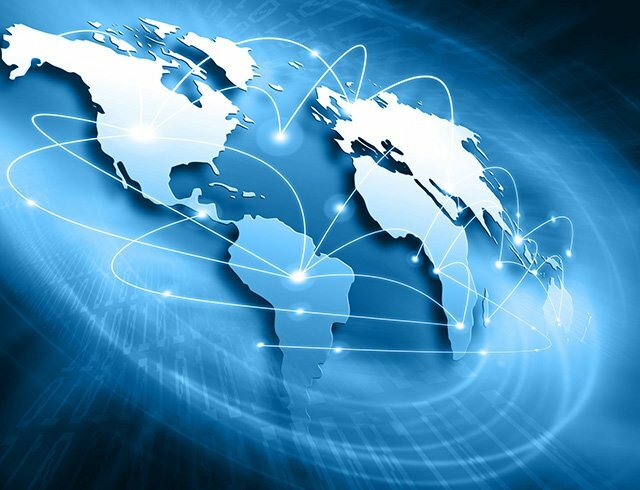 Our company offices and qualified distribution partners ensure that there is a reliable network to meet the consulting and service needs of customers across the globe. 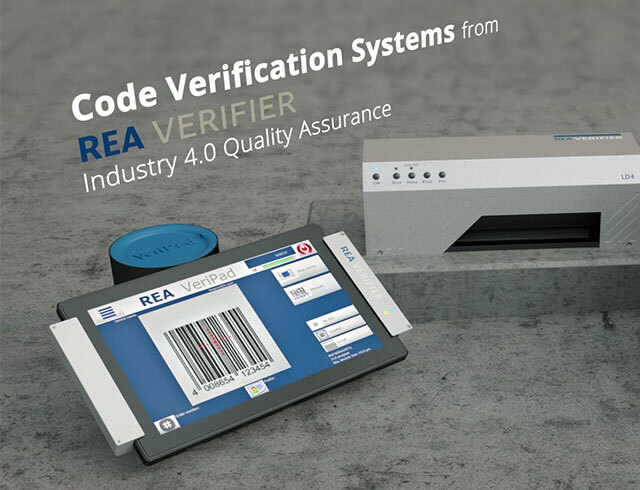 At trade shows, events and conferences worldwide REA VERIFIER presents code verification systems for a wide range of industries. 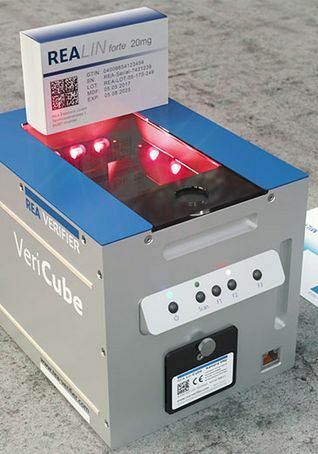 With the REA VERIFIER Systems, the optimal readability and the correct layout of barcodes, data matrix codes, stacked or even combined optical codes can be tested. Either according to the international norms or on the basis of user-specific requirements. 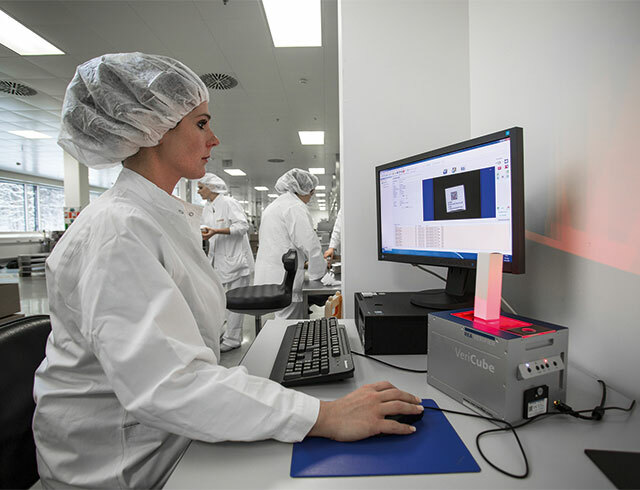 Additionally, even content information (expiration dates, batch numbers, dates for traceability and quality control, data for serialization) and the compliance with the necessary data structure in the codes can be tested. In spite of the complex subject matter of standardized and worldwide uniform testing methods, the use and evaluation of the REA VERIFIER is very simple. In addition to product and service quality, we attached great importance to our customers and their satisfaction. Therefore, we are certified according to the latest standard of quality management system DIN EN ISO 9001:2015. 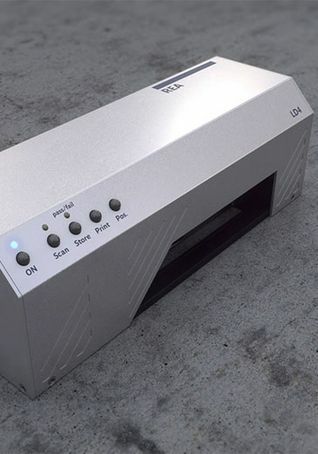 The REA PC-Scan LD4 is a barcode verifier which was developed in conformity with international standards. It is especially designed for measuring barcodes with highest precision. 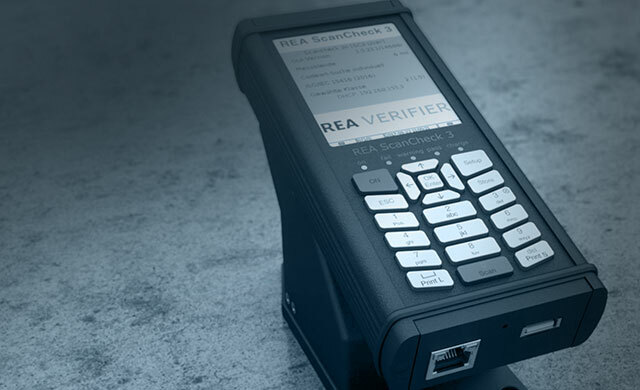 An universal, battery-operated barcode verification device which operates in accordance with current standards is the REA ScanCheck 3. 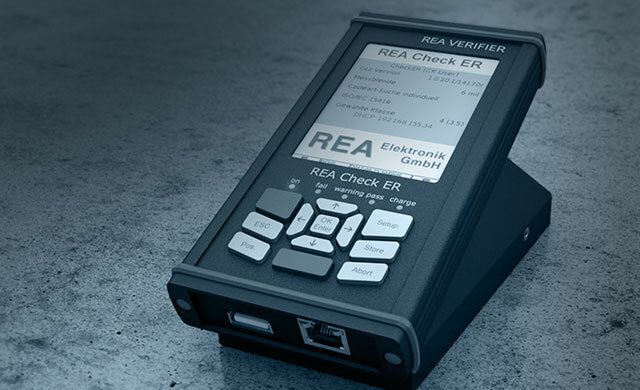 The REA Check ER is an portable, very small device which includes the powerfil and comfort of the REA VERIFIER product line. 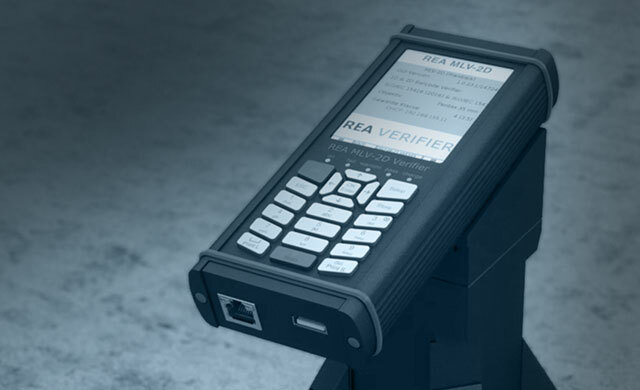 The REA VeriPad is worldwide the first mobile verification device for 1D and 2D codes which is operated via a 9.7" touch tablet. 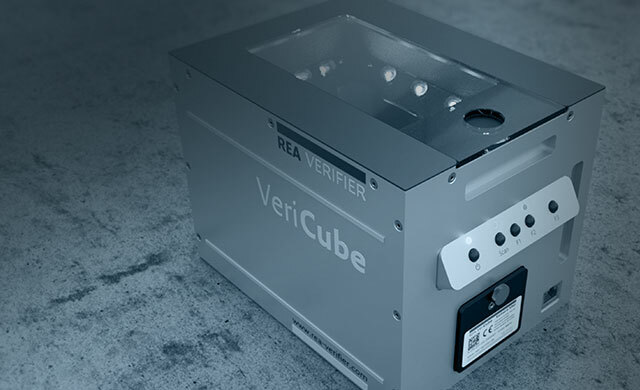 The REA VeriCube is a state-of-the-art matrix and barcode verification device which can be used across all industry sectors. 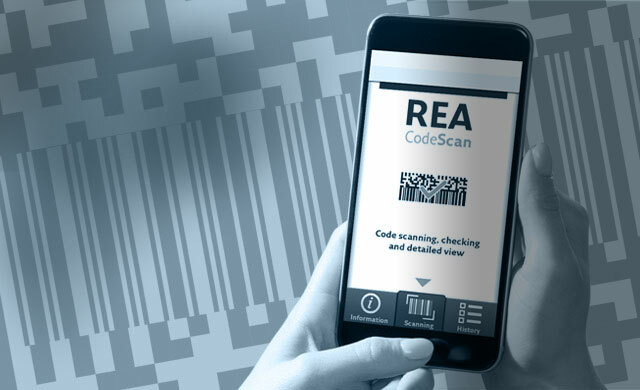 The REA MLV-2D is a matrix- and barcode verifier which has been developed in conformance to international standards. REA VERIFIER is an innovative, international company. We offer simple, portable devices to complex precision verification devices for checking and evaluating. The trainees in the mechatronics department undergo a highly interesting education at REA Elektronik. In addition fascinating internal projects complete the versatile topics. Trainees can get fully involved with enthusiasm and contribute their own ideas to everyday training schedule. 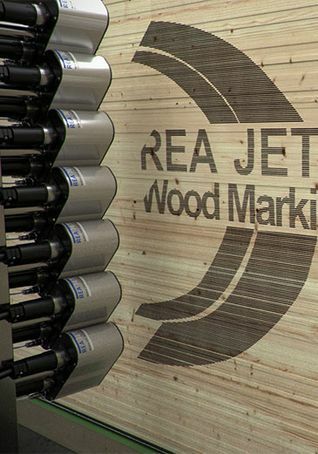 At the wood trade fair in Klagenfurt REA JET will present state-of-the-art coding and marking solutions for all current and future coding and marking requirements of the wood processing industry. 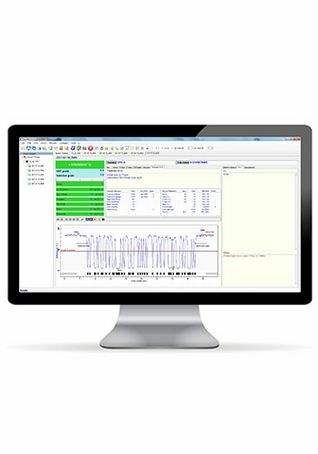 At the Achema show REA presents latest technology coding and marking systems as well as code verification systems that implement standard-compliant marking and ensure compliance with the required code quality. 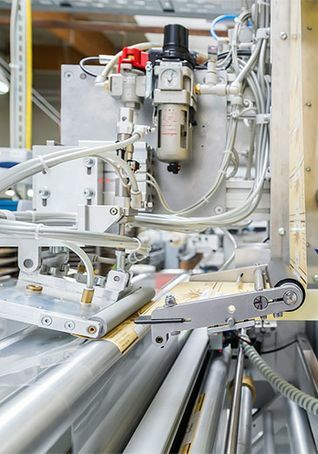 REA JET will be presenting solutions for the tube processing industry for contact-free marking of almost all materials at the Tube trade fair in Düsseldorf. 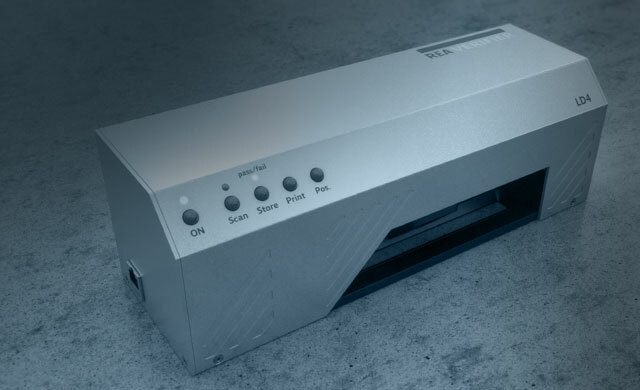 REA JET experts suggested their thermal inkjet printer REA JET HR. Directly after the extrusion, pipes are printed contact-freely with a strong adhesion and in high resolution. Muehltal, January 15th, 2018 – Direct coding makes semi-finished and finished products clearly identifiable. Muehltal, October 20th, 2017 – Effective coding and marking of products respresents a significant challenge for the metal working industry. Heat, dust and moisture can affect the process. We love sports! In addition to our own sports club, we offer our employees a wide range of sports activities. The promotion of our junior staff is very important to us. The aim is to provide them a qualified and a hands-on training. As one of the first companies in Germany, REA Elektronik GmbH has been successfully certified according to DIN EN ISO 9001: 2015 since April 28th, 2017. As a family-owned medium-sized company, „family“ plays an important role for REA. As every year, all employees together with their families were invited to the traditional REA summer festival. Muehltal, 18th August 2017 – REA JET will present new solutions for industrial coding and marking at this year’s Labelexpo in Brussels. Exhibition visitors can look forward to an impressive portfolio of innovative labeling, inkjet and laser systems as well as code verification devices. Particularly, the flexible labeling of the pallets at different heights and from two sides are distinguishing features of the delivered REA systems. A view into the supermarket shelf shows: Two-dimensional codes are gaining ground. Numerous packaging are already equipped with black/white pixel-based images. WEINIG Dimter GmbH & Co. KG is the world market leader in the field of cross-cut saws and gluing presses. In Illertissen, more than 200 employees develop and work on machines and systems for the entire process chain of solid wood processing. 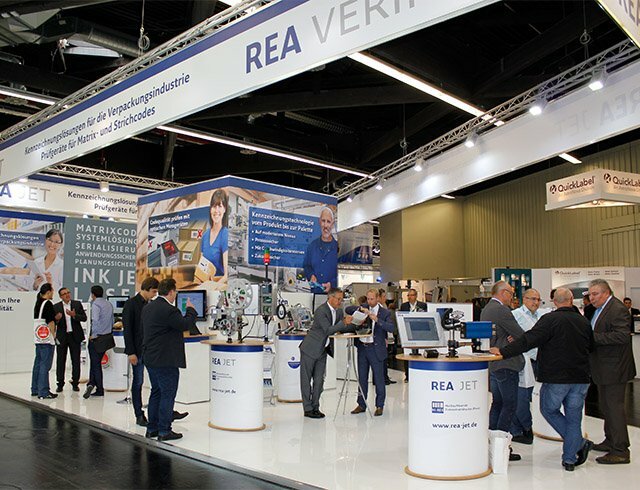 Muehltal, April 25th, 2017 – REA uses the interpack 2017 as a stage for launching product innovations of both divisions coding and marking systems (REA JET) and code verification systems (REA VERIFIER). The coding, marking and code verification experts will also focus on the topic "The Importance of 2D Codes in Packaging and Logistics". Marking of high-priced knives with company logo, part number and manufacturer information with REA JET FL Laser System. Paper bags filled with cement and caulking compund are coded with REA JET Piezo Technology. Sidewise marking on filled flour paper bags with REA JET Large Character Inkjet Printer. Text contents include a running counter number (serialization) and a product expiration date. Coding of steel pipes with production date, work-shift numer and production ID. The steel marking can take place under heavy unfavourable industrial conditions. Direct marking of steel tubes with a diameter from 10 to 45 cm are marked with a single line of text in a character height of 48 mm with logos and production data. Aluminium plates must be marked according to international standards with up to 10 lines of text consisting of manufacturer name, plate type and batch number.